Aether Brewing… the very name evokes something that is without shape or substance, lost in thin air, in the void without a location. I’ve been hearing the name for a while now. There have been whispers aplenty—“PsstpsstnewcraftbrewerypsstpsstMilton psstpsstRailwayTerracepsstpsstwatchoutXXXXpsstpsst”—but no one actually seems to know much about them. It’s like that scene in 10 Things I Hate About You where everyone hears almost-certainly-true rumours about Heath Ledger’s character. I figured the best way to find out about them is to go straight to the source, so I shot them a message. (“Hey guys, I hear you’re opening a brewery. I’m a complete stranger who also happens to be a beer blogger. Can I come invade your personal space?”) And with their permission, I rocked up to their digs on Railway Terrace to a building so unassuming that it might as well have been invisible. From the moment I knocked, Jimmy and Dave treated me like an old friend. Jimmy (left) and Dave (right) of Aether Brewing. We cracked a cold one and got chatting. They describe themselves as a ‘couple of tradies’ (they’re both from engineering backgrounds in the oil and gas business) who have been dreaming of Aether for the last five years. Then last year, the dream began to take on solid form: they started working towards providing Brisbane with more of our favourite liquid. I was pretty impressed with the setup. 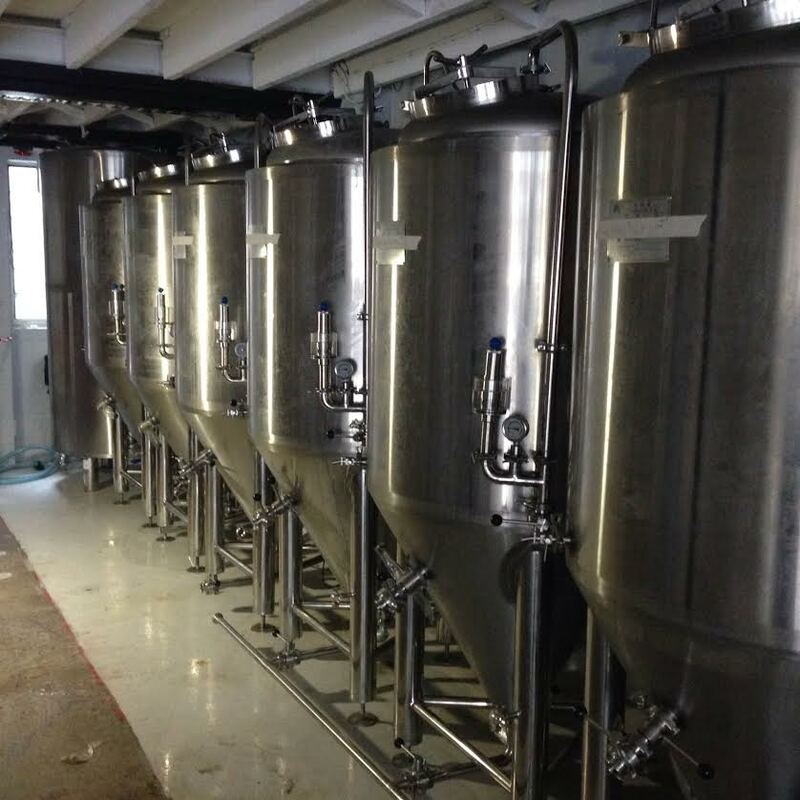 The brewhouse is custom designed and built—Jimmy and Dave put most of it together themselves. 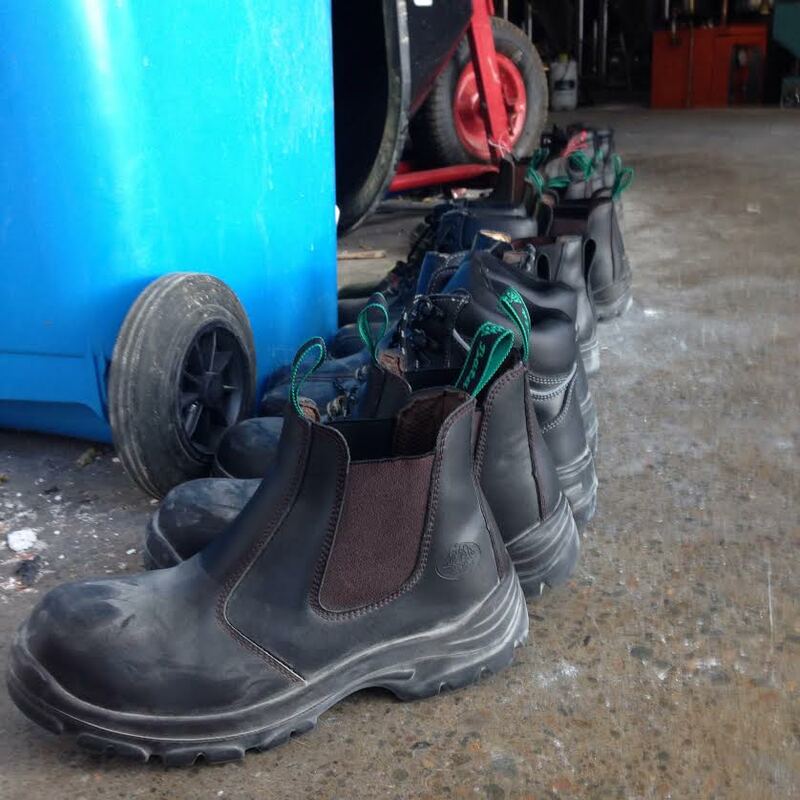 It’s clear – tradies brew here. There’s seating capacity for about 50 people on the ground floor, and 55 on the mezzanine level, with the total overflow capacity reaching around 200. The plans include timber frontage, hanging plants, custom seating and tables… it’s all looking pretty snazzy. As they showed me around and told me all this, their eyes sparkled with the vision of the finished product. And I have to admit, I kinda caught the fever, too. After all, it is in walking distance from my house. And when you factor in its proximity to The Scratch, Newstead Brewing’s soon-to-be-ready second location on Castlemaine St, and Brewski and the new Fritzenberger up on Caxton St… well, there’s a magnificent bar crawl to be had. 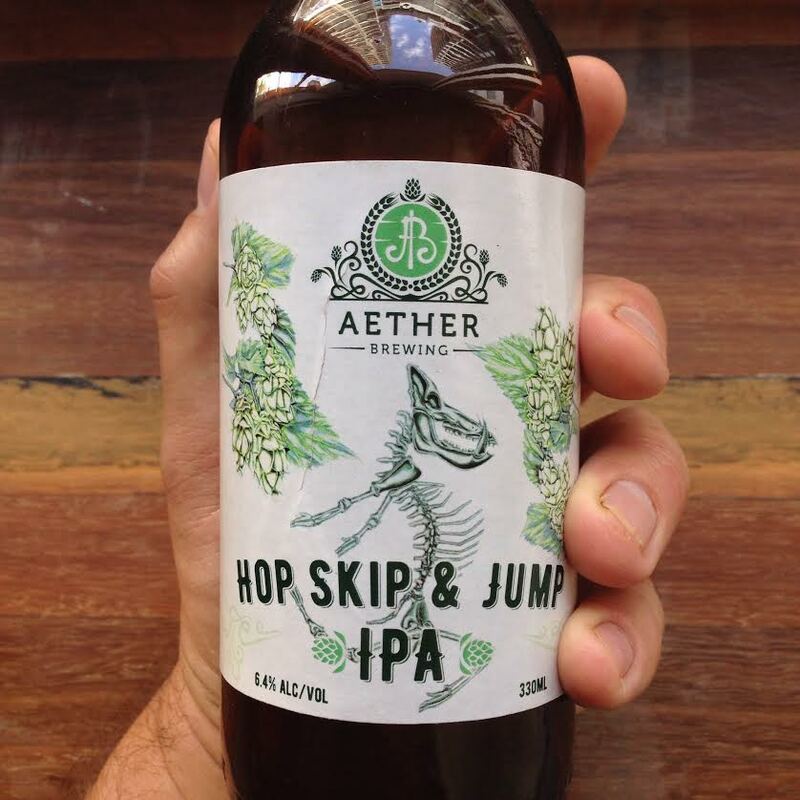 Aether is hoping to have their brewpub finished and open in the next couple of months. But I’m pretty stoked that we won’t have to wait that long to sample all their brews—they’re going to be at Beer InCider Experience this weekend. 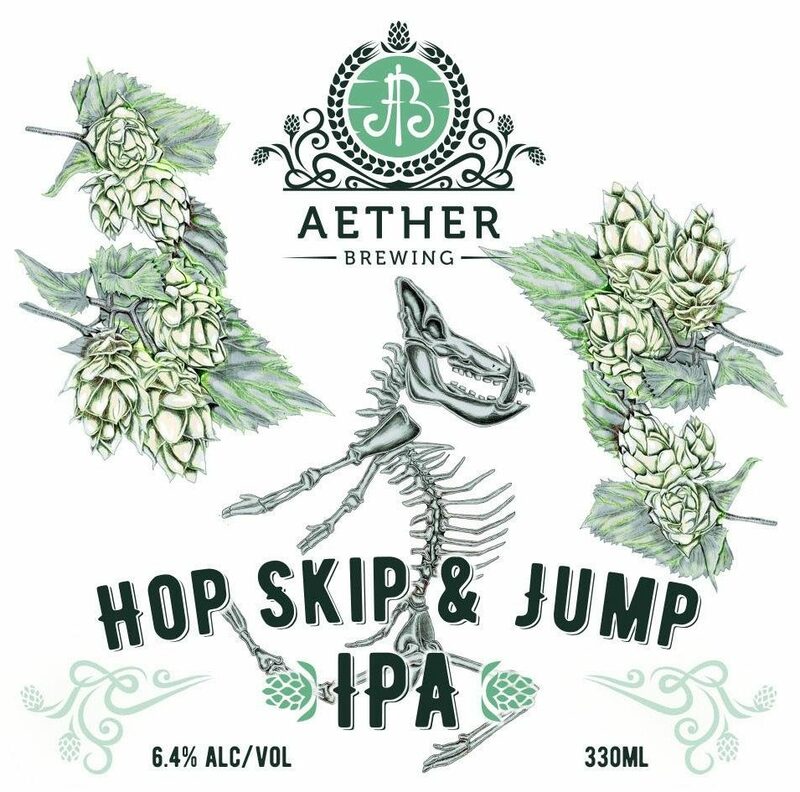 This’ll be the first time the general public are getting their lips around Aether’s brews, and I for one look forward to getting them in my belly. I believe they’re even going to have some of the white truffle wheat beer there, so I plan to drink like a damn king! Jimmy and Dave showed me the labels of their core range beers, but as they’ve managed to keep them under wraps for so long, and are just drip-feeding them to social media now, I’m going to respect their wishes and only show the ones they’ve already shared. (I’ll come back and update this once they’ve shared the rest of them.) The only spoiler I’ll let slip is that their oatmeal porter has rum-soaked vanilla beans in it. The reason I’ll let that slip is because the thought of it makes me drool. Right, here are some labels to finish up with. The Greek-mythology-inspired designs are by Steve Falco of Procreativ. Enjoy. 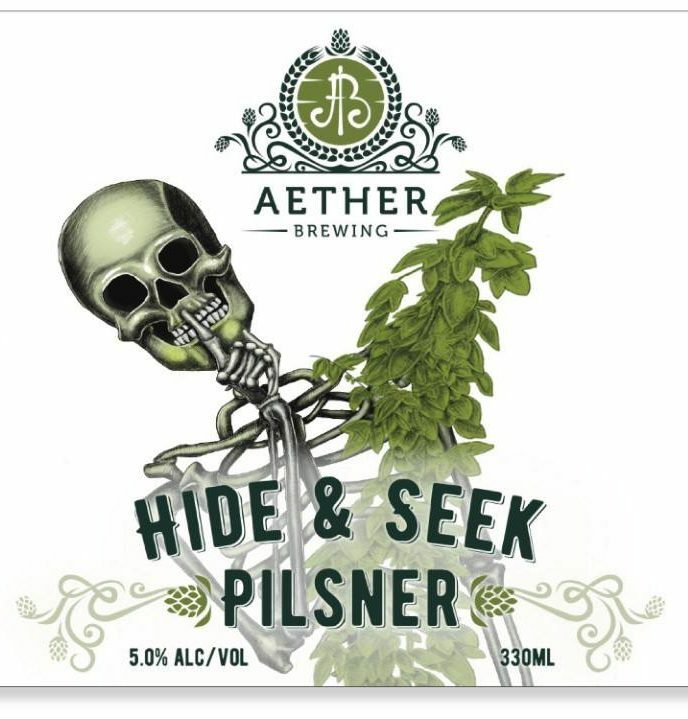 Check out Aether Brewing on Facebook and Instagram; come drink their beers with me at Beer InCider this weekend; and keep your ear to the ground for when they open in Milton. P.S. I just realised this post may sound a little like it’s sponsored or something. It’s not. I’m not getting paid, and I only met Jimmy and Dave this past week. I’m just excited about Aether! South Australia will be the flavour of the month in July 2017 when the state hosts the largest annual gathering of brewers in Australia for the Craft Beer Industry Association’s (CBIA) national conference and awards. The CBIA has announced that more than 500 people including industry representatives and principals from the top craft beer breweries would be in Adelaide from 25 to 27 July. South Australia’s Tourism Minister Leon Bignell who also has oversight of the state’s burgeoning beer industry as Minister for Agriculture, Food and Fisheries said securing the conference was a great win for South Australia. “These events are not only about enjoying local beer, they also shine a spotlight on our state, with 500 producers from around Australia and overseas travelling here specifically for it,” Mr Bignell said. “I want to congratulate all of South Australia’s brewers for the huge commitment they have put into establishing new beer businesses and growing existing breweries. They have helped add to South Australia’s reputation of being Australia’s premium food and drinks state. CBIA’s executive officer, Chris McNamara, said the Australian Craft Brewers Conference (ACBC 2017) is the premier professional development event for craft brewers across Australia and beyond. The conference was first held in 2013 and now includes the prestigious national Craft Beer Awards, taking in eight categories as well as the coveted awards for Australian Craft Beer of the Year, the CBIA Services to Australian Craft Beer and Champion Brewery. Next year’s conference and awards will be held alongside the Adelaide Beer & Barbecue Festival, now in its third year. The growing beer landscape in South Australia has seen the festival grow to one of the biggest in Australia and it is looking forward to welcoming more than 12,000 punters across the three days in 2017. Gareth Lewis, Event Director of the Adelaide Beer & Barbecue Festival said he wholeheartedly welcomes the CBIA to South Australia and sees the conference as a great vote of confidence for what he believes to be the best-growing beer industry in the country. 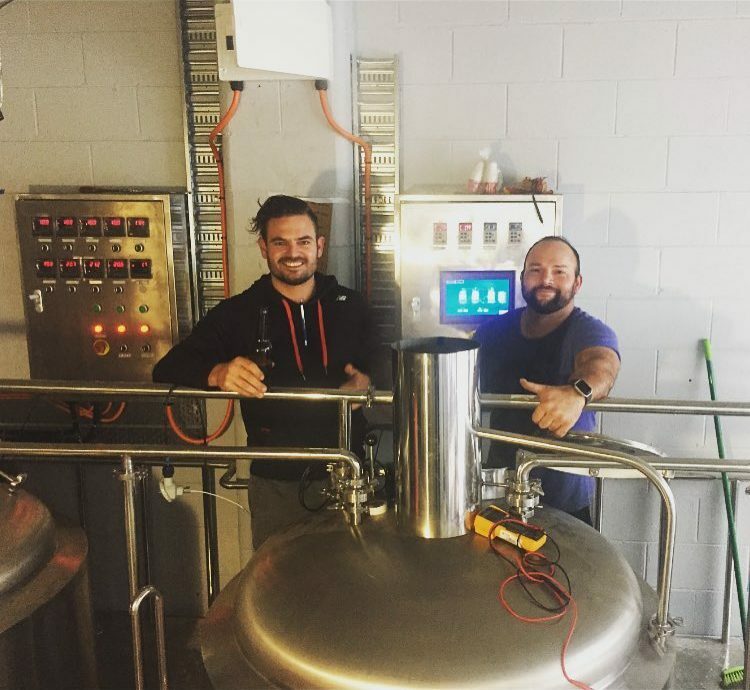 “For our brewers to be able to show their wares to a whole range of new industry people is going to be huge and for the South Australian beer lovers to have some of the country’s best brewers in town to benchmark against will mean the line-up for ABBF 2017 will be the biggest and most diverse of any beer festival in Australia,” Mr Lewis said. Background information: The Craft Beer Industry Association (CBIA) was founded in 2011 and Australia’s peak body representing the interests of craft brewers. 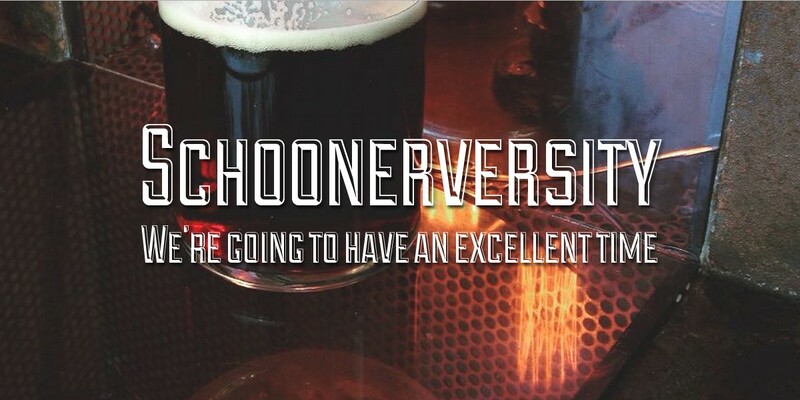 Its mission is to educate and influence for the benefit of Australian craft brewing.